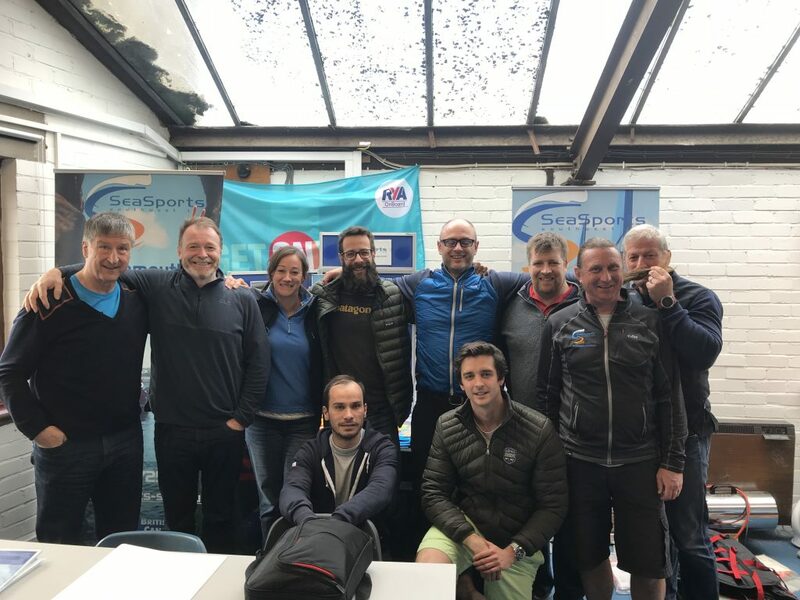 Team training is now underway with the crew spending the last week at SeaSports based in Teignmouth, Devon, with training provided by Sue and Tim Cox of SeaSports and Ian Couch of Adventure Hub. 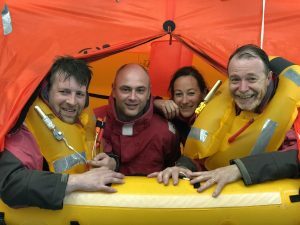 One place we realised we don’t want to be during the race is in the life raft. Challenging enough in a swimming pool, could be a nightmare at sea. we need to do all we can to minimise the risks whilst enjoying the row. We also had the pleasure of meeting a number of fellow rowers, Lilian and Guilhem of Blue Gold, Will from Men of Oar, both going in the 2018 race, Steve looking for a seat this year and Chris focusing on the 2020 race. Our focus going forward is now on both on and off the boat, whilst the drive for sponsors continues. 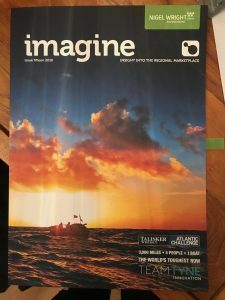 We are delighted to welcome Nigel Wright Recruitment on board as one of our sponsors and pleased to be on the front page of their latest magazine giving us some great media exposure.